Elcom Systems is proud to be a Standard Horizon dealer. We are located on the banks of Lake Superior and work closely with the commercial and recreational boating industry. 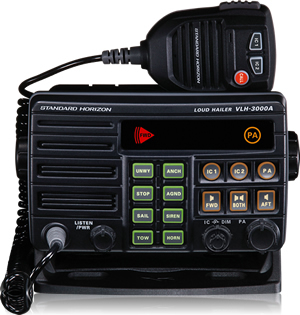 We offer the full line of Standard Horizon products including; marine two-way-radios, fixed mount VHF radios, handheld VHF radios, GPS Chart Plotters and Loud Hailers. We also offer installation services. STANDARD HORIZON leads the world's marine communications markets Marine products require high reliability and functionality because ships must be operated safely even under severe weather conditions. The nature of marine communications is changing, such as the increased need for satellite-based location positioning systems and the adoption of GMDSS by certain countries. Because of this changing environment, we offer a wide spectrum of products. 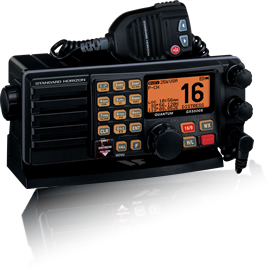 They are the leaders in communication equipment covering the HF to VHF frequency, the most important frequencies in marine communications. They also offer products for use in marine leisure activities such as for yachts and powerboats. 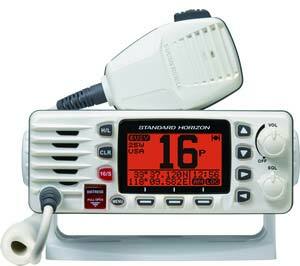 Standard Horizon products are used in the fishing and shipping industries as well as installed in the base stations. Standard Horizon will continue to provide highly reliable products employing the latest in technology to the various market segments. In the area of professional use marine communications, we have received high praise from various countries for providing total solutions to government agencies such as the Coast Guard. They are constantly developing and releasing innovative new products such as the fully waterproof portable transceiver and a multi function remote access microphone making it possible to operate a unit from a microphone. We are happy to have them as a partner. We sell and install the following models. 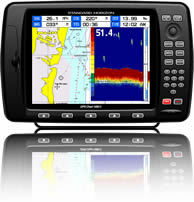 Please contact us today to find out more about our Marine Electronics solutions.